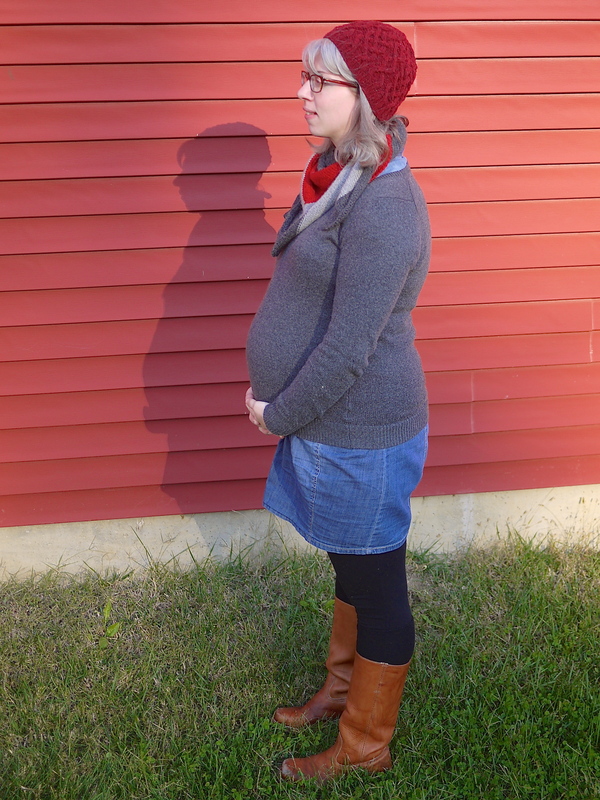 It’s hard to believe that we’re in the home stretch of this pregnancy already. Of course, there were a lot of distractions that have made this whole year speed by in a blur. On the other hand, having spent the better part of the last 3 years pregnant or recovering from a pregnancy, I’ll be pretty happy when this little one comes out, be done with these maternity clothes, and get back to normal. Thankfully, much like the Bear’s, this pregnancy has been pretty uneventful though still different from the first one. Most significantly, DB has been around for this one. I’m so glad that we’ve gotten to experience this pregnancy together. I haven’t gained nearly as much weight as I did with the Bear.I’ve talked to a bunch of other moms who’ve all pretty much said the same thing. The first one was huge and any subsequent babies didn’t cause quite so much bloat. I think not eating nearly as much processed foods and running after the Bear has been a big help too. I can see my feet and tie my shoes, but I still feel huge. I’m tired all the time, nothing new there. My only real craving has been for cereal, which was the same with the Bear, and cinnamon things, which is new. With the Bear, my hair turned into a giant gross oil slick. No lustre, just grease. This time around hasn’t been so bad, but I still want to chop off all my hair. 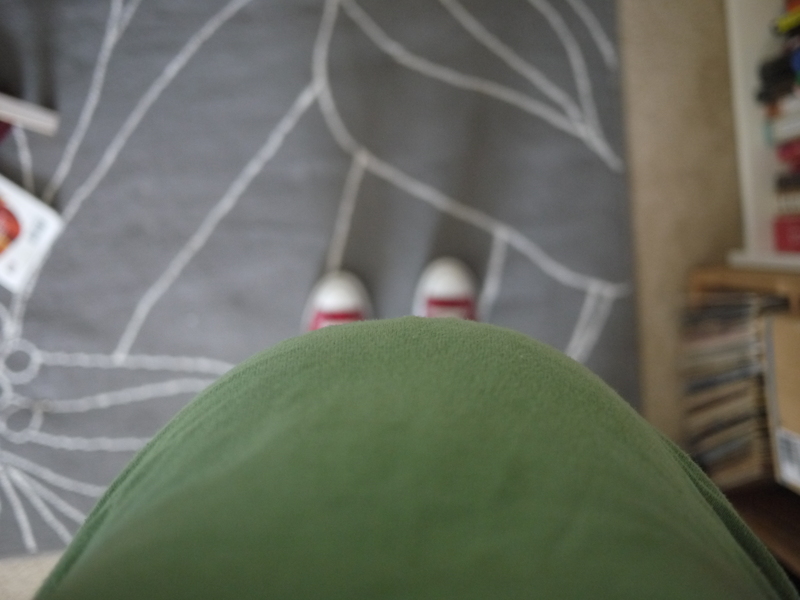 I haven’t spent this pregnancy obsessively checking websites like Baby Center and What to Expect to find out what the baby is doing each week, but I’ve felt a lot of anxiety and paranoia about this baby. Most likely this is due to the miscarriage we had in between the two. All signs point to us having a beautiful, healthy baby in just a few weeks, but I can’t tell you how relieving every swift kick to the bladder has been throughout the last several months. Since I’ve had the opportunity to actually nest (instead of coordinating a cross country move immediately after the Bear’s birth), I’ve had DB rearrange the furniture in the house at least 5 times, and we’re not done yet. As for the Bear, he’s totally oblivious to the fact that he’s going to be a big brother soon. The first few weeks ought to be interesting as he learns that he’s no longer king of the castle. I think he’ll like being a big brother, and we’re happy that the kids will be close in age. 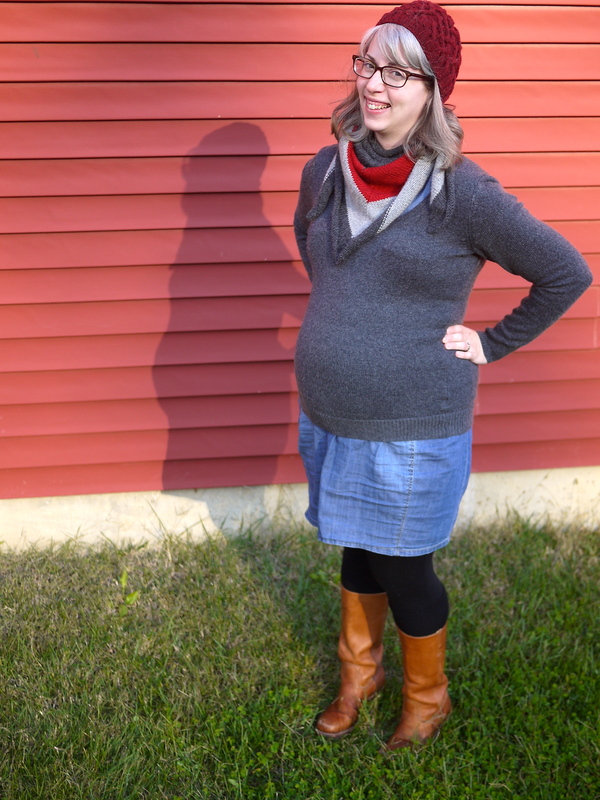 This entry was posted in family, fashion, real talk and tagged maternity, maternity fashion, pregnancy. Bookmark the permalink.